May 5, 2014 – The University of Memphis has become the repository of the official papers from the administration of former Tennessee Gov. Winfield Dunn. Dunn served as governor from 1971-1975. The Governor Winfield Dunn collection includes 35 linear feet of material. It contains correspondence, speeches, photographs, newspaper clippings and other items from the early 1970s to the late 1980s, including campaign literature. The collection also contains some audiovisual material. 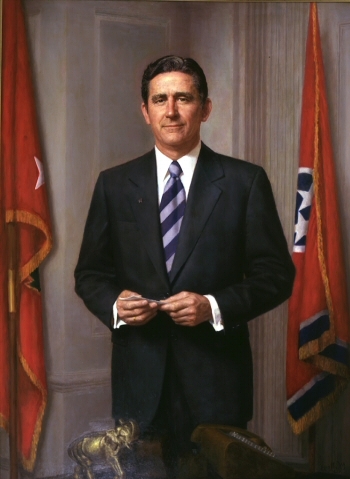 Martin served as a member of the Tennessee House of Representatives during the 1973-74 period of the Dunn administration. The Dunn Collection will be housed in the Ned R. McWherter Library’s Preservation and Special Collections Department.